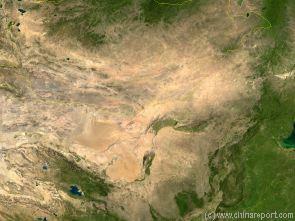 A Satellite Image Map of the Entire Gobi Desert Region and the relative position of the City Datong in it. 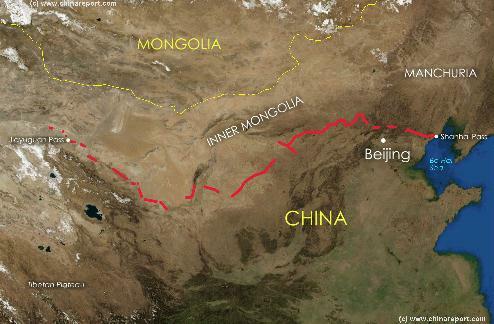 Map overviews North-West Xinjiang Autonomous Region, Mongolia, Inner Mongolia and North and North-Eastern China giving a Full Overview of the Gobi Deserts. Clearly visible details of geographical features such as mountain ranges, rivers, valleys and lakes, national borders, name and location details of Cities and Villages (clearly visible). 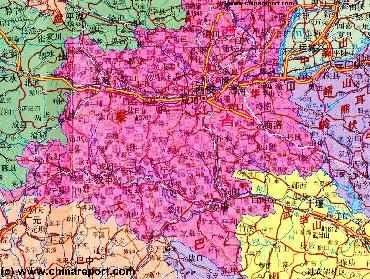 The Shaanxi Province Maps Index gives acces to all Maps relevant to Shaanxi Province and Area's of Specific Interest within that Province, as used and/or produced by ChinaReport.com. Please use these Maps to find your way easily around the Province, Cities, Area's and many Monuments & Landmarks. 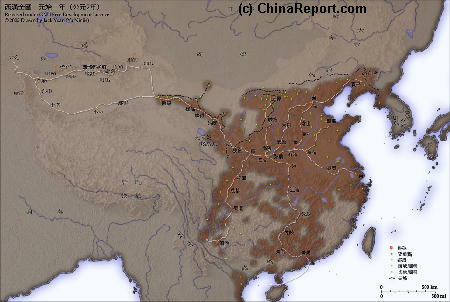 Geographic Maps of the Silk Road Path, The Great Wall of China and location of Passes in Shaanxi Province and China. Geographic Maps on Xi'An City and Area of South Shaanxi Province. A Geographic overview Map of Shaanxi Province entire delineating provincial borders and parts of neighboring Gansu and NingXia Provinces in the West, Inner Mongolia Autonomous Region in the North, Shanxi and Henan Provinces to the East and Hubei, ChongQing and Sichuan Provinces in the South. 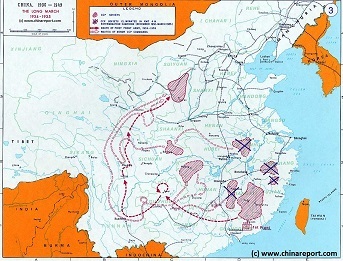 This Map Includes Cities and Towns (shown by size), Main Monuments & landmarks of Shaanxi Province, the flow of the yellow river along the borders with Shaanxi- and Shanxi-Provinces, Great Wall of China locations in North Shaanxi Province, Main Mountains (with Height), major highways, provincial railroads and main railroad-stations and main waterways & rivers. 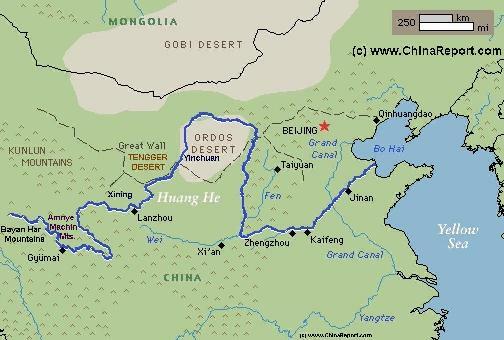 This Map further provides links to on site photos and information on the City and Area of Xi'An, nearby Lintung Village and the locations of the Great Wall of China in Shaanxi Province. 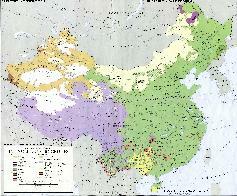 A Schematic overview Map of Shaanxi Province entire, Ningxia Province and large parts of neighboring regions. 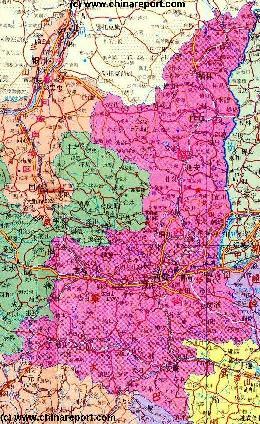 The Map clearly delineates Shaanxi provincial borders and parts of neighboring Gansu and NingXia Provinces in the West, Inner Mongolia Autonomous Region in the North, Shanxi and Henan Provinces to the East and Hubei, ChongQing and Sichuan Provinces in the South. 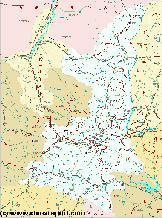 This Map Includes Cities and Towns (shown by size), Main Monuments & landmarks of Shaanxi Province, the flow of the yellow river along the borders with Shaanxi- and Shanxi-Provinces, Great Wall of China locations in North Shaanxi Province, Main Mountains (with Height), major highways, provincial railroads and main railroad-stations and main waterways & rivers. This Map further provides links to on site photos and information on the City and Area of Xi'An, nearby Lintung Village. Other scenic or historical sites will be included in the Future. 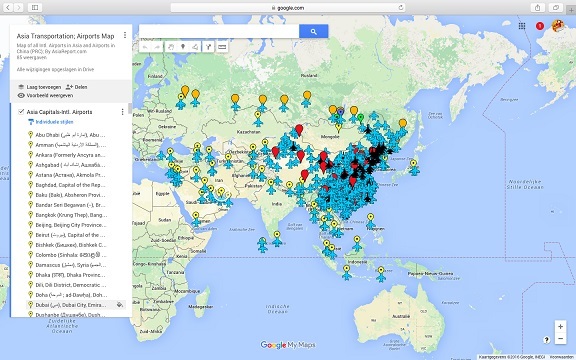 A Full Google Earth Supported Map of Xi'An by Google.com. The China Report introduced on Levels of its Online Publishing's in April of 2009, including the City of Xi'An. A Full Google Earth Supported Map of Shaanxi Province by Google.com. The China Report introduced on Levels of its Online Publishing's in April of 2009, including Shaanxi Province. (http://twitter.com/asiareportcom) for near LIVE Reporting by DrBen and other China Report Staff and their Mobile Devices (ChinaReportcom2 & ChinaReportcom3) on all nearly all Digital Channels.